This article proposes a novel model to optimize e-marketing planning in tourism sector, based on the convergence among interactive digital television, mobile networks and cloud computing systems. The proposed research approach is exploited, towards efficiently facilitating marketers to accomplish optimum e-marketing data analysis and design effective mobile marketing strategies, targeting potential users under a personalized advertising scheme. This model also enables marketers to predict future purchasing patterns and efficiently understand customers' behavior. Collected e-marketing data, revealing customers' preferences, is optimally displayed to marketers, using emerging user-friendly interfaces based on cutting edge web technologies, towards providing an actual mean to automatically customize services for individual market segments in tourism sector. The applicability and usefulness of the system were tested by interviewing a sample of hotel marketing managers, and the findings provide useful practical implications. Travel and tourism sector is one of the most progressive industries in adoption of Information and Communication Technologies (i.e. 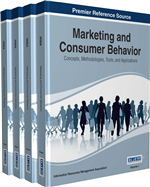 ICTs), providing an ideal context to investigate the influence of sophisticated systems in marketing. Such technologies provide new business opportunities in establishing, enhancing and commercializing customer relationships to optimally understand and fulfill requests from clients (Buhalis, 2003). ICTs lead to flexible, market-oriented businesses and success depends on quick response to rapidly changing customer needs, delivering the appropriate products to the targeted market segments (Soteriades, Aivalis & Varvaressos, 2004). More specifically, advances in interactive digital television (i.e. iDTV) and Web technologies play a vital role, towards improving data collection and efficiently analyzing customers’ personal preferences. iDTV offers emerging communication networks that are able to support the provision of multimedia and Web based services. In addition, Internet Protocol Multimedia Subsystem (i.e. IMS) is an emerging ICT solution, which can be incorporated in imminent mobile networks, as well as in iDTV systems, towards supporting the efficient collection of customers’ personal data (e.g. personal profiles data). On the other hand, cloud computing is a new Internet paradigm that enables efficient sharing of data to achieve coherence and economies of scale, while many businesses have adopted this technology, realizing its benefits. One vital sector for such businesses that stand to benefit from cloud computing is the marketing process, particularly in terms of delivering and storing mission-critical data (Cruz, 2013a). In this respect and according to this introductory section, this paper proposes a novel e-marketing model, elaborating on the convergence of cloud computing systems, mobile networks and iDTV systems, in order to enable for efficient data processing and analysis in tourism sector. The proposed model facilitates tourism businesses and organizations to track customers’ preferences and subsequently provides them superior added value via customized services. As a result, marketers will be able to base much more cost effective marketing decisions on a detailed knowledge of the behavior and preferences of their existing or potential customers. Towards enabling for an efficient information analysis and processing, data mining methods are proposed, such as predictive visual analytics, in order to optimally predict future purchasing patterns. This article fills the gap based on technology convergence and an actual development of mobile e-marketing services in tourism sector with an exploratory analysis. The principle is to create and maintain personalized relationships with each customer, enhancing mutual benefit of both parties, through individualized, interactive and added value marketing services. The underlying belief is that such personal relationships lead to improved customer acquisition, satisfaction and loyalty, allowing better returns and a more effective marketing target to be achieved. In fact, the portfolio of mobile marketing services based on the proposed model, efficiently addresses various cross-functional processes, such as campaign management, customer contact and lead management, offer creation and delivery, contract management, customer complaint and retention management, as well as after sales services. In this framework, section 2 presents a literature review, providing related background information, while section 3 elaborates on the proposed cloud computing model that is exploited to optimize e-marketing process in tourism sector. Next, the methodology and the results section follow. Finally, section 6 concludes this paper, by discussing the implications and highlighting the benefits of the proposed research.